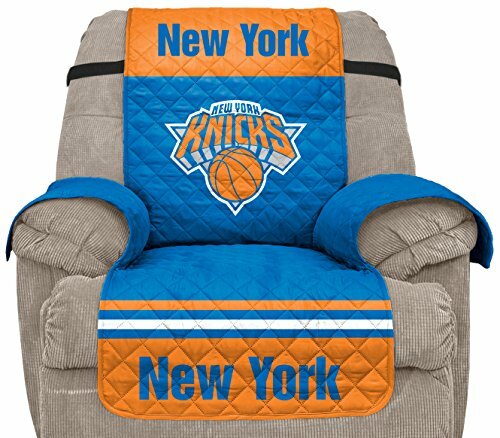 Whether you are protecting new furniture or covering old, this Recliner furniture protector by Pegasus sports will add to your team-themed home's decor. You'll love snuggling up on the soft, durable cover for years. Measures 80-inches by 65-inches and fits most chairs up to 34-inches long from arm to arm. Drapes easily over your furniture and includes elastic strap for snug fit. Machine washable for fast and easy cleaning. Made of 100% polyester. Imported from China. Protect your furniture from soil, stains and spills while hosting family and friends for the game. Legends Never Die NBA John Stockton and Karl Malone Utah Jazz Double Matted Photo Frame, 12" x 15"